This week, Minnesota became the latest state to offer a non-binary gender option on driver’s license. There are soon-to-be five states offering a third option, besides male or female. 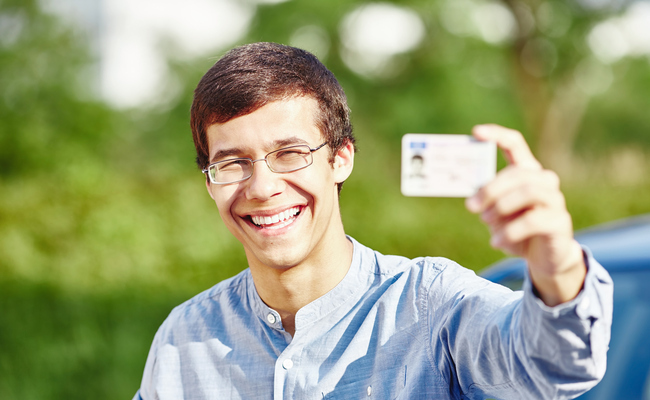 This is important, as driver’s licenses are state-controlled and are the most common type of government identification used by most people. Here’s the list, in chronological order. While Oregon was the first to announce non-binary driver’s licenses, Washington, D.C. quickly made their own announcement and beat the Beaver State by a few days. Oregon will go down in history as the first place in the US to announce it would support a third option on driver’s licenses, but as the second driver-licensing government to actually offer it. It all really started in Oregon, as a circuit court there was the one to rule that male and female are not the only legal genders, albeit after a previous federal case in which it was found passports could not be refused on a failure to identify gender. Maine is currently using stickers with an X to cover up the M/F designation, but will have a properly-printed third gender option by next year. That’s a question of getting the new computer system up-and-running, but legally, the licenses are already non-binary. “It was a business decision to offer a third option to better serve all Minnesotans,” stated Driver and Vehicle Services of the decision, as quoted in this report. The change was made with rather little fanfare or buzz beforehand. The new online application system, which included a third gender option, launched on the first of October. California was right behind Oregon and D.C., but while the bill allowing all kinds of IDs, including driver’s licenses, to offer a third gender option was signed into law back in 2017, it was set to take effect only at this later date. Okay, this is still developing, but since NYC just allowed a third gender option on birth certificates, the bill for non-binary gender driver’s licenses currently working its way through the state legislature seems like a likely win. The Intersex and Genderqueer project is carefully tracking all 50 states, and there are a number with bills already on the table to recognize non-binary identities in their citizenries. Aside from driver’s licenses, a number of districts and states are already allowing non-binary birth certificates, increasingly without the need for a doctor’s note (which can be a significant barrier for some). But if you track how rapidly this type of legislation has jumped from state to state over just a couple of years, it seems likely that, save some of the more stubborn and “traditional” states, something much closer to full gender inclusion (as far as government-recognized identification and record-keeping goes) might be achieved in just a few years. All 50 states should be on this list.